Red velour finish fez with tassle. The fez was the middle eastern man-on-the-street wear until modern times. 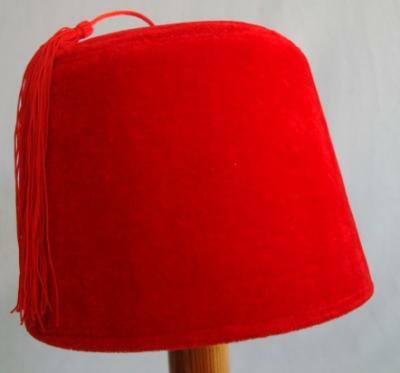 Hollywood has portrayed the fez wearing character as generally a little sleazy and corrupt. We agree and the fez lives on. Except for Dr. Who, of course.